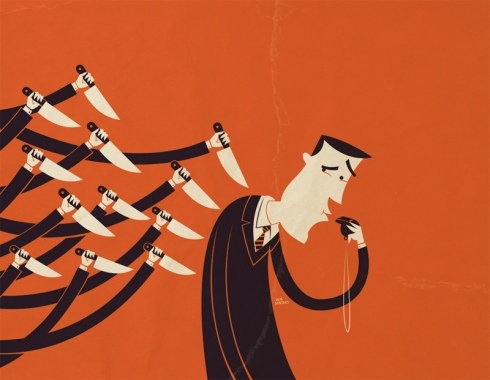 A whistleblower is a person who exposes wrongdoing or faults within an organization in the hope of stopping or preventing it. OSHA has been working on new ways to protect whistleblowers from punishment or unlawful termination from their jobs. WASHINGTON – In a continuing effort to improve the Whistleblower Protection Program, the U.S. Department of Labor's Occupational Safety and Health Administration today announced that it is implementing additional measures to strengthen the program and is releasing an internal report detailing a recent top-to-bottom review of the program. OSHA enforces the whistleblower provisions of 21 statutes protecting employees who report violations of various workplace safety, airline, commercial motor carrier, consumer product, environmental, financial reform, food safety, health care reform, nuclear, pipeline, public transportation agency, railroad, maritime and securities laws. The Government Accountability Office audited OSHA's whistleblower program in 2009 and 2010, highlighting challenges related to transparency and accountability, training for investigators and managers, and the internal communications and audit program. OSHA also conducted an internal review that examined national and regional program structures, operational procedures, investigative processes, budget, equipment and personnel issues. "OSHA is committed to correcting the issues brought to light by the GAO report and our own review," said Dr. Michaels. OSHA's Whistleblower Protection Program will report directly to the assistant secretary instead of being housed in the Directorate of Enforcement. In addition, changes in field structure are currently being pilot tested. Commencing with its fiscal 2012 budget, OSHA established a separate line item for the whistleblower program to better track and hold accountable its activities and accomplishments. These changes, in addition to the 25 new investigators added, should significantly improve the administration and stature of the program. The whistleblower provision laws enacted by Congress prohibit employers from retaliating against employees who raise various protected concerns or provide protected information to the employer or to the government. Employees who believe they have been retaliated against for engaging in protected conduct may file a complaint with the secretary of labor for an investigation by the Whistleblower Protection Program. Detailed information on employee whistleblower rights, including fact sheets, is available online at:http://www.whistleblowers.gov.